Top Left: A re-enactment of a witch trial at the Witch Dungeon Museum. Top Right: House of Seven Gables. Lower Left: Witch House. 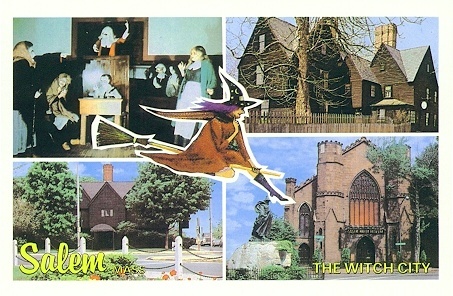 Lower Right: Witch Museum.